Jazz with a soulful groove. is a fixture on the Canadian and International music scene, as a Saxophone, Flute, and Woodwind specialist. He has been featured on many live concerts, television, and album recordings in a variety of music genres. Since arriving in Toronto from Alberta in 1974, has become known through his playing as a featured soloist with Blood, Sweat, and Tears, Gordon Lightfoot, Anne Murray, George Oliver and Gangbuster, and many other artists. Working his way through the Toronto music scene, Vern has had many great performances with highly acclaimed artists such as Tony Bennett, Aretha Franklin, Ella Fitzgerald, Roberta Flack, Aaron Neville, Gino Vannelli, Diana Krall, Ray Charles, and many more. In the fertile music culture of Toronto from the 1970s until the present, he has spent time learning the ropes playing for people such as Guido Basso, Doug Riley, Howard Cable, and the great Moe Koffman. He has played in many settings as a Jazz, Rhythm and Blues, Orchestral, Musical Theater, and Studio musician. 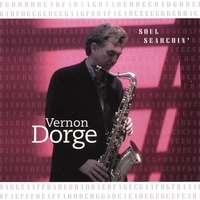 A resident of Mississauga Ontario, Vern continues to be involved as a performer, teacher, composer, and recording artist. Leader of an ensemble playing Jazz, Blues, Soul, Funk, and Groove music styles, playing in local clubs and other music venues.